This building comprises two basements and nine floors above ground. 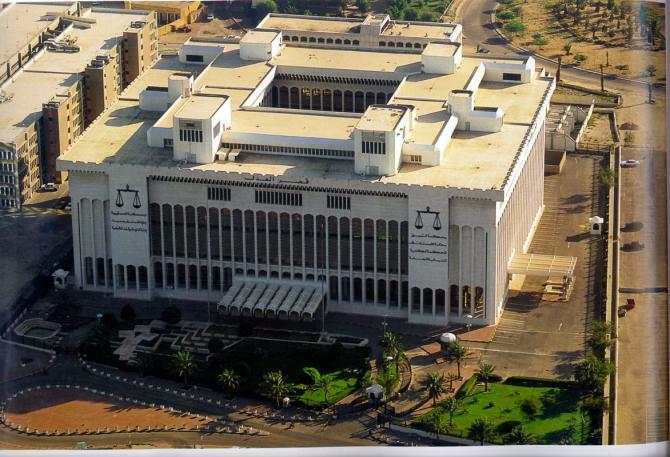 It provides 52 courtrooms which occupy the third, fifth and seventh floors. 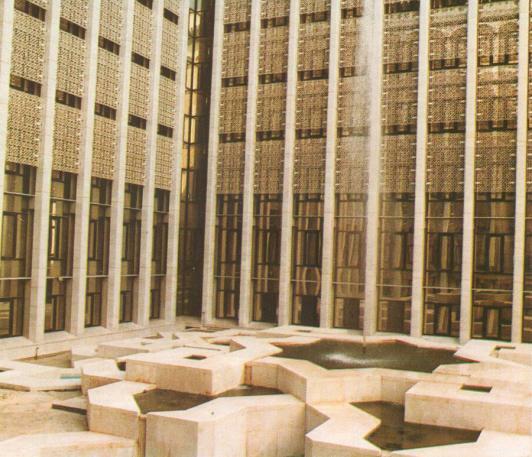 The building also incorporates a large office area, a meeting hall with a fully equipped theatre, a library and a security area with a specially outfitted control room. Language translation and electrical building automation systems are also incorporated. Reaching 42m in height and encompassing an internal courtyard of over 3,200m2, the building’s external perimeter measures 99m by 87m. It has a static posture with oriental arched facades clad with white Italian stone and glass reinforced concrete panels as sunscreens. The walls of the court rooms, the meeting hall and library are clad with decorative teak wood panels. The judges’ benches and witness stands are also made of teak wood. 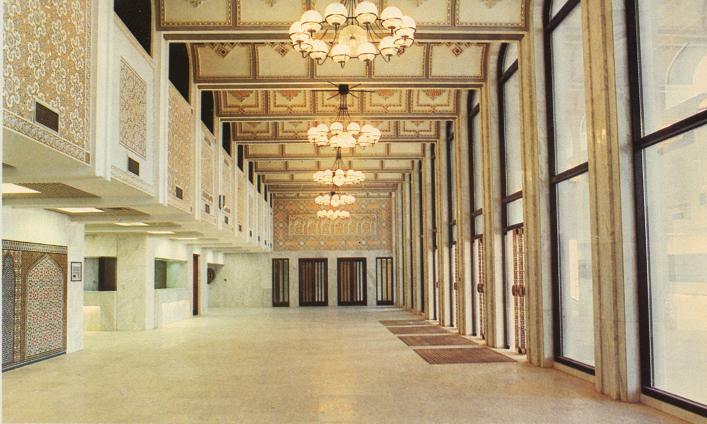 The walls and floors of the main and guest entrances as well as the main staircases are clad in marble. Other finishes include ceramic mosaic works and a decorative gypsum ceiling shaped in Moroccan style coves and domes.